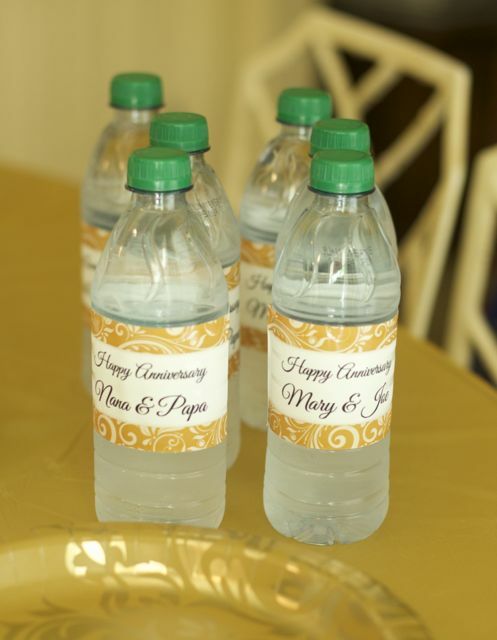 I was provided with promotional items to facilitate this post about 50th Wedding Anniversary Decorations from Shindigz.com. All the opinions expressed are 100% my own. Part of my trip back home this summer was to also get all the siblings and grandchildren together to celebrate our parent’s 50th Wedding Anniversary. We had not had everyone together in probably 5 years. That is really hard to believe. 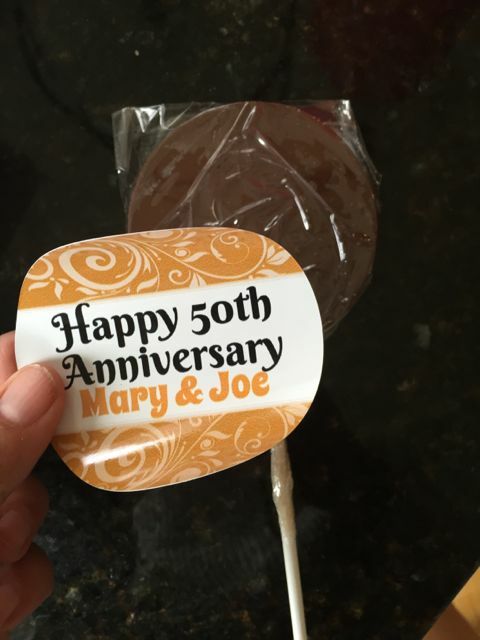 What do you give a couple for a 50th Anniversary present? We decided on hiring a professional photographer and having portraits done. This was a great excuse for our family to get some done as well since we have not had them done since my third child was born, he is 9 years old… The day we were able to coordinate all the family members to meet we were also going to host a luncheon to celebrate their anniversary. 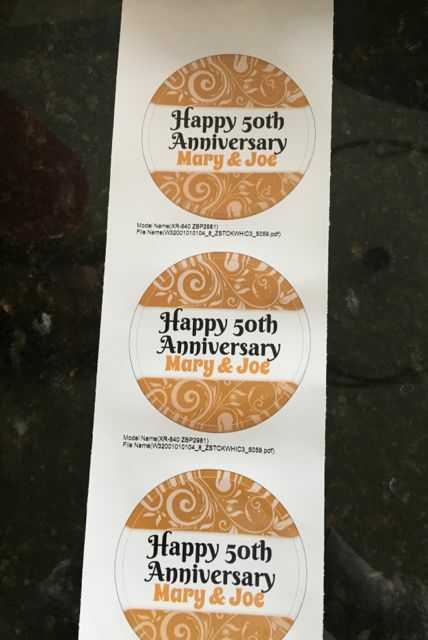 This is where I had to get creative with 50th anniversary decorations. 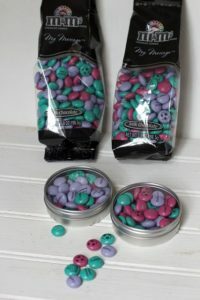 I went to Shindigz.com for inspiration and decoration supplies. 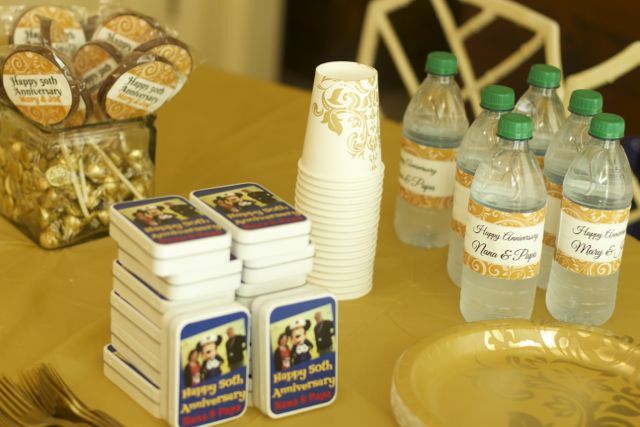 They have party supplies for any occasion from weddings to children’s birthdays. I probably spent an hour browsing the other occasions until I hit their 5oth Wedding Anniversary section. I ordered the basics, napkins, gold table cloth, paper cups and forks. However, if you know my blog at all you know I can’t stop there. 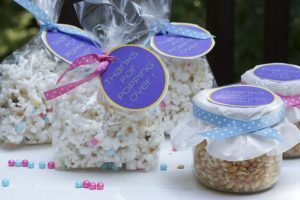 Party Favors are one of my favorite things. I was able to make these personalized stickers for water bottles. They were well made and water proof. These stickers were also water proof and great quality. I was sort of expecting paper labels and thrilled with the end product. 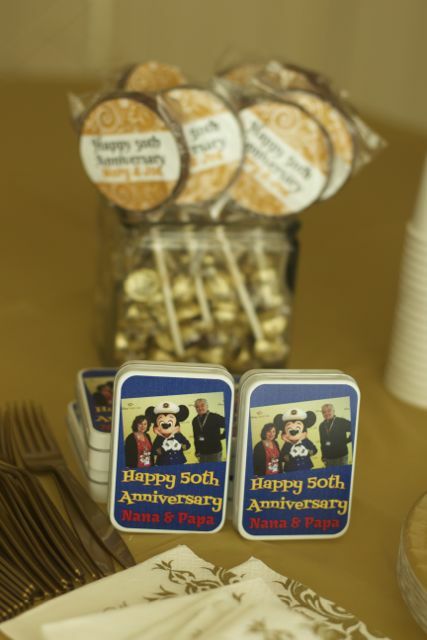 For a even more personalized party favor we created these adorable playing cards and case. Shindigz.com has so many designs you will find the right colors for any occasion. We chose to use a picture and make our design from scratch. 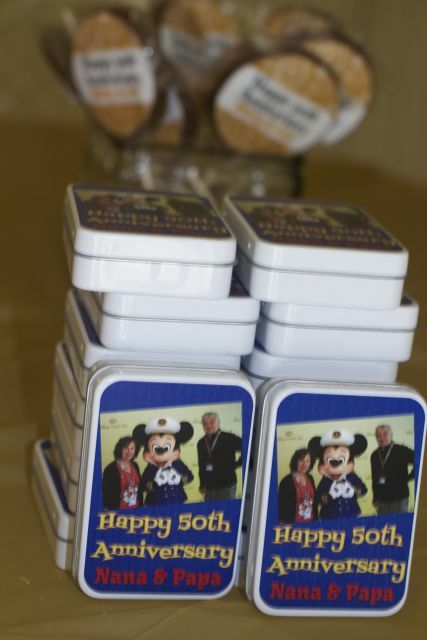 These are great party favors as you can never have to many sets of cards around and a great memory for the grandkids. 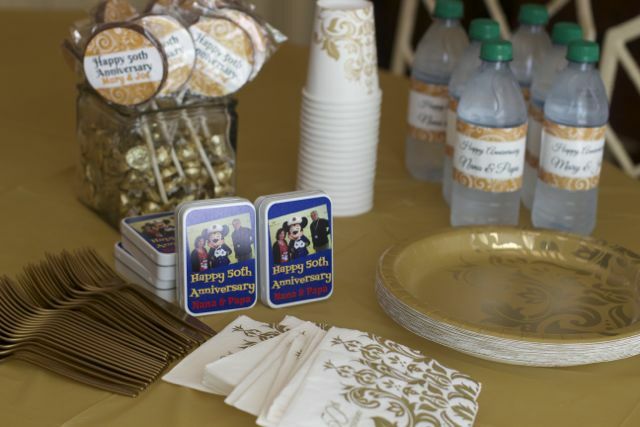 So no matter what the occasion you are celebrating be sure to make it even more special with party favors and decorations from Shindigz.com. Can’t wait for my next party to shop for more cute party decorations. Oh! I bet they loved these! How lovely those decorations are! I like that they’re all personalized too. I think the playing cards are my favorite! How fun and memorable would that be?! These are all great ideas. When i helped with my aunt wedding anniversary. I did some cds with their favorite songs, as well as several images of my aunt and uncle its was a beautiful experience. 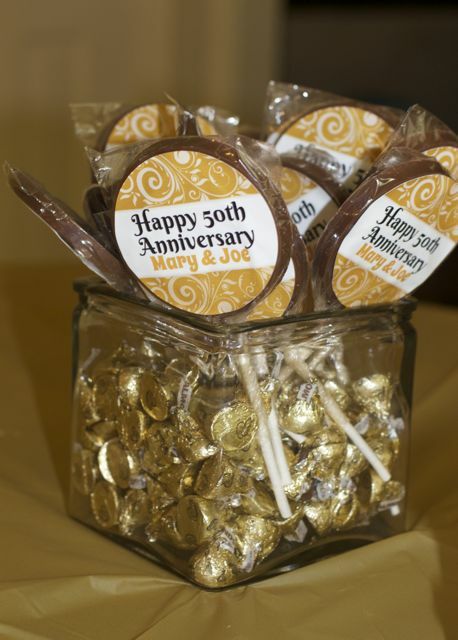 Great ideas for a theme and favors – My parents will be celebrating their 50th in just a few years! 50 years definitely needs to be celebrated. Love all the little touches.